Check this page for videos of my talks and for information about requesting me as a speaker for your group. For a schedule of upcoming talks, see Coming Events. To hear my media interviews, click here. At present I have prepared only one talk, which conveys an impression of the book as a whole. I am working on several more, each of which explores one chapter or facet of the book in greater detail or some other subject that I care deeply about. Check this page over the coming months, as the list will probably grow. To request me as a speaker, please use the Contact page. I am happy to speak on the subjects listed here (and others soon to be added) to any interested group, secular or religious, academic or general public. I am less happy about debating but will consider it if asked. I will gladly speak to chapters of the Secular Student Alliance anywhere, and I will forego any travel reimbursement for chapters in San Diego county. My list of talks follows, with video links where available. 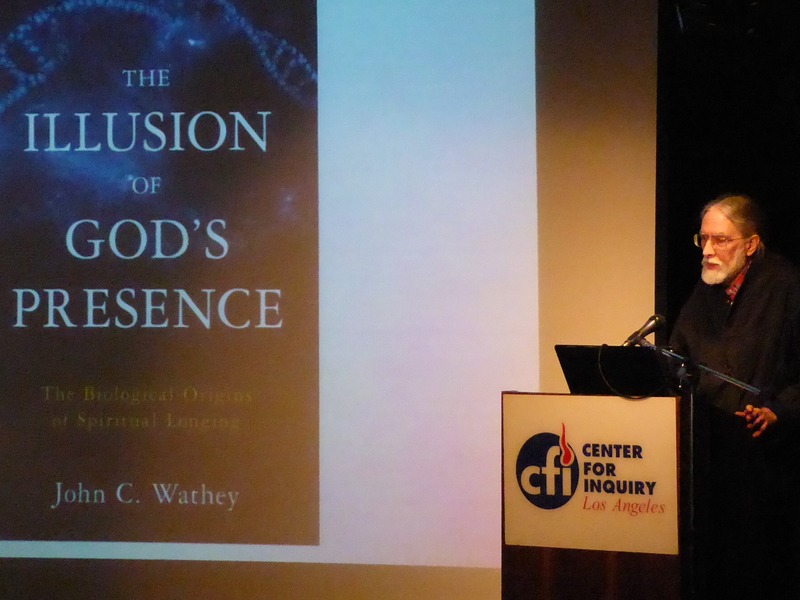 This is an overview of the central thesis of my book, similar to my talk at the Center for Inquiry (below), but with more emphasis on the strange puzzles of religion that my hypothesis can explain. Why is God two-faced: both judgmental and unconditionally loving? Why are women more religious than men? Why do seven percent of members of the National Academy of Sciences believe in a personal god who answers prayer? Using examples from visual illusions, behavioral biology, and neuroscience, I offer an explanation in terms of a cognitively impenetrable illusion, one that science has largely overlooked. Science has only begun to make sense of religion’s powerful grip on the human mind, a grip that can even hold some of the most brilliant of scientific minds. 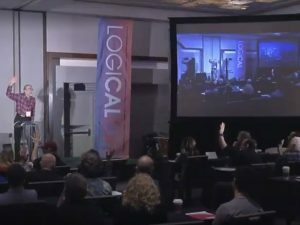 Why do seven percent of members of the National Academy of Sciences believe in a personal god who answers prayer? The question is important because it probes the most irresistible essence of the appeal of religious and spiritual thinking. Using examples from visual illusions, behavioral biology, and neuroscience, I offer an explanation in terms of a cognitively impenetrable illusion, one that science has largely overlooked.